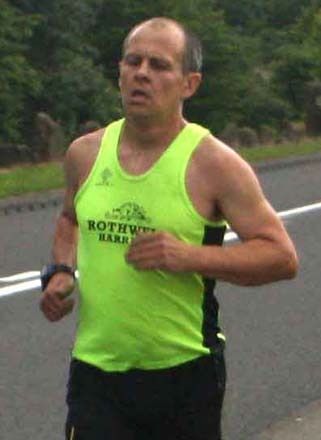 Seniors Monday / Tuesday Interval Sessions – Rothwell Harriers & A.C.
Why? Interval sessions are for runners of all abilities who have some racing experience and want to improve their times. Who? Specific interval sessions will help the runner target the individual aspects of their running that will bring improvements that ‘steady’ running cannot alone. What? The two main interval areas distance runners need to work on are VO2 max and Lactate Threshold (also called Tempo). 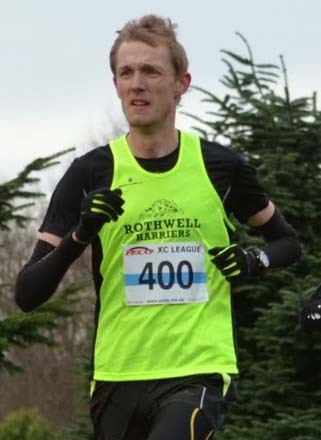 VO2 is the limiting factor in races of 10k and below, Lactate Threshold determines how fast you can run 10 miles and above..
Ross has been running over 13 years, and has been a member of Rothwell Harriers since 2012. Ross started out as a track runner competing at 800m / 1500m distances eventually moving up to 3000m and road running at a later date. Main Running Highlight: Selection for West Yorkshire County Squad at the National XC Championships. Ross mostly competes on the road and X-Country races now and is here to help everyone achieve their goals & targets on all training nights. Hadrian is an experienced runner and competes in many off road challenges including the three peaks, ultra marathons and running the whole of the Leeds Country Way. Paul is an excellent all round runner. 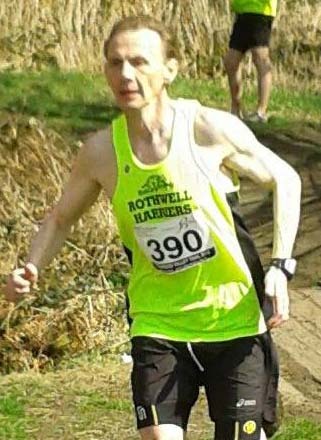 Whether it’s Peco XC, 5k, 10k, Half Marathon etc….. Paul always clocks up a fast time in each of these events. Starting September, on the 2nd Monday of each month we will be hosting a track session at John Charles Centre for Sport from 6pm prompt, please pay at reception, it costs £3.50 each or £3 if you have a Leeds Card (@ Jan 2019). The sessions have been approved by one of our senior coaches and are intended to develop your speed and endurance for all running distances, the track is a great place to train and of course no-one gets left behind. These sessions will also help you gain confidence on running on the track and possibly enter track events in the spring and summer months. Please ensure you have made yourself aware of the 2 risk assessments the club has undertaken for track sessions. The Tuesday night Interval Session is always very popular with members. These are designed to help runners of ALL abilities to improve their speed and general fitness. When you attend the track session on the Monday, we recommend not attending the Tuesday night Interval Session. Please just do one, not both. Don’t fear, you don’t need to be of Usain Bolt or Haile Gebrselassie speed in order to come to any of our sessions. All you need is to listen to the guidance from our run leader, your own desire and hard-work and you will become faster over all race distances. We don’t recommend you race at your best too frequently, and if you have raced at the weekend before these sessions, consider resting or just running easy instead of these sessions. If you are racing at the weekend following one of the sessions, consider doing less reps than what’s in the session rather than the full load as you are in danger of leaving your race in training. Ross likes to mix up the programme every week so you can work on different areas of speed/speed endurance. All the sessions are centred around 10k racing, that means if you’re training for 5k, 10m and/or Half Marathon distance races, these sessions will benefit you. Sometimes we do the hill sessions, lap sessions, intervals and lactate sessions. See the current programme below to see what is coming up over the next few months. If you have any questions regarding these sessions, need help planning your training, you want help targeting a specific race or a specific training plan outlining then please do not hesitate in contacting Ross, Hadrian or one of our coaches. 1200m, 1000m, 800m, 600m, 400m, 200m with 90secs recovery between efforts. The focus for this session is on the quality of pacing, not even pace for each rep distance. The first rep (1200m) at 10k pace and increase the pace for each rep thereafter.